The annual Amazon.com shareholder letters from CEO Jeff Bezos are eagerly awaited in Silicon Valley for pearls of wisdom from the world’s richest man and an admired business leader. This year’s edition was extra revealing, although maybe not in the way Bezos intended. That number — a common e-commerce metric known as gross merchandise volume (GMV) — has always been a secret at Amazon. Not anymore. 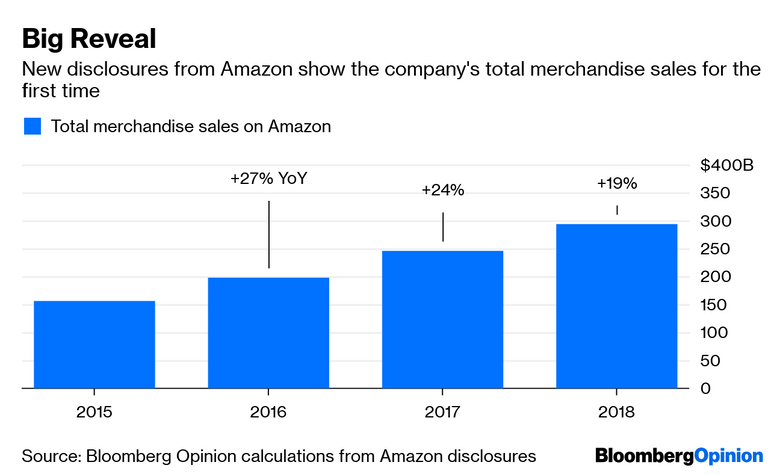 Based on Bezos’s letter and Amazon’s previous disclosures, it’s possible to roughly calculate Amazon’s gross merchandise volume dating back to 2015. It’s a remarkable number — nearly $300 billion worth of goods sold on Amazon last year. It’s hard to explain the slowdown in Amazon’s merchandise sales growth. 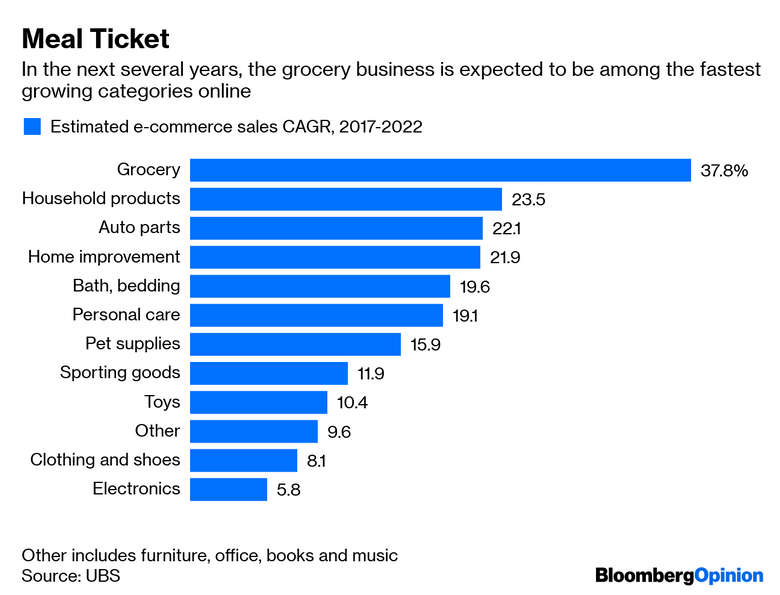 If anything, it seems as if Amazon is grabbing a larger share of e-commerce sales and that the internet is stealing more sales from physical stores, which have accounted for something like 90% of all U.S. retail sales. And yet Amazon’s retail-sales growth — although still impressive — is slowing noticeably. The company has made a big push into home furnishings, launching private-label brands intended to compete with the likes of Wayfair and West Elm. It also continues to expand its selection of owned brand apparel and has been lining up more marquee names to sell clothes on its site, including J. Crew Group. It doesn’t seem like a coincidence that this comes as its legacy retail competitors finally seem to have awakened and adapted to the e-commerce era. The two-day Prime shipping that used to distinguish Amazon from the pack? That’s routine now from the likes of Walmart, Target and others. And big retailers are getting good at digital options that Amazon can’t provide as easily, such as click-and-collect. Lowe’s, for example, says more than 60% of digital orders are picked up in stores.